After 38 years in the military, Dan Irving knows a few things about transitioning back to civilian life. 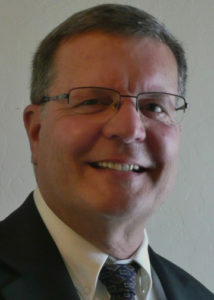 Dan Irving is the Central Area Chair, Arizona Employer Support for the Guard and Reserve (ESGR). Transitioning back to civilian life can be a difficult time for many veterans and their families. Civilians may not be aware of the unique challenges that veterans face, such as anxiety, unemployment and PTSD. Even for those veterans who are not suffering from the aftermath of combat experiences, there is a military culture mindset which could present challenges when reintegrating into civilian life. After serving 38 years in the Air National Guard, Dan Irving knows a thing or two about transitioning back into the civilian workforce and the challenges that veterans face. On Thursday, Sept. 22, Irving will be a featured panelist at the Chamber’s Valley Voices event Veterans at Work for an important community conversation about supporting veterans in the workplace and the resources available to help businesses employ and effectively utilize their dynamic skills. As the Central Arizona Committee Chairman of Employer Support of the Guard and Reserve (ESGR), Irving focuses on educating employers and business leaders on the value of hiring Guard and Reserve Service members. He understands the unique talents, military experiences and skill sets that veterans and Guard and Reserve Service members bring to the civilian workforce. According to Irving, the military-to-civilian language translation is one of the biggest issues he sees when meeting with former service members who have not been successful getting jobs in the civilian workforce. The civilian translation challenge can be overcome. ESGR provides resume assistance and services for Guardsmen and Reservists to translate those military experiences into a civilian employer-friendly language that HR and hiring managers can understand. “Being able to explain their military experience to civilian employers in a meaningful, easy-to-understand way will help them get the interview as well as land the job,” Irving says. Established in 1972 under the U.S. Department of Defense, ESGR comprises 4,600 volunteers and promotes cooperation and understanding between the reserve component of service members and civilian employers. Irving’s dedication and passion for Guard and Reserve Service members is apparent as he shares why he is participating as a featured panelist at the Chamber’s upcoming Veterans at Work event. Irving also stresses the importance for employers to understand how Guard and Reserve Service members differ from veterans. To learn more about the Employer Support of the Guard and Reserve or how you can become involved or volunteer, visit http://www.esgr.mil.